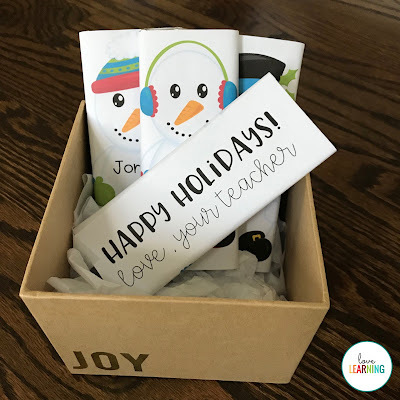 There are some teachers that go totally above and beyond with student presents around the holidays. They make custom bottles, Santa hats, stockings complete with stocking stuffers, and the list goes on and on. Those teachers are amazing and wonderful and deserve all the praise. 1. Don't want to spend a lot of money because it's already the holiday season and we are broke. 2. 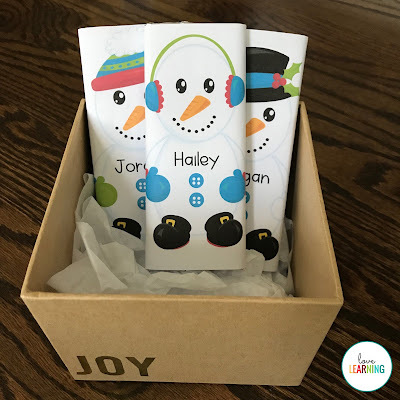 Between being moms, teachers, wives, business owners - you name it, we do it - there just is not enough time in the day to make 25-30 cute little presents. For a good ten years of my teaching career, this first idea was my go to. You see, I teach fifth graders. What do my fifth graders love? Passes. and pretty much anything else that their little hearts desire. 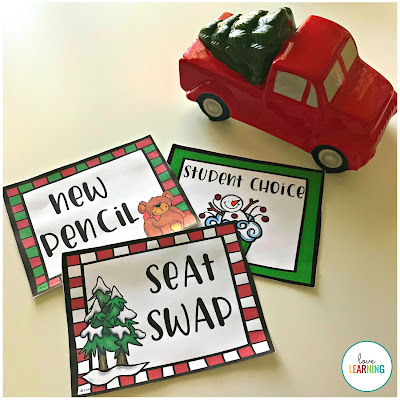 I simply print these cute passes, stick them in a goody bag with maybe a holiday pencil, eraser, and a candy cane (thanks Dollar Tree for always providing these goodies at reasonable prices), and students presents are good to go! These passes, by the way, are FREE in my store! Last year, I was *cough* a little more ambitious. Thanks to that wonderful thing called Social Media, I saw so many cute ideas that I just had to try something different. 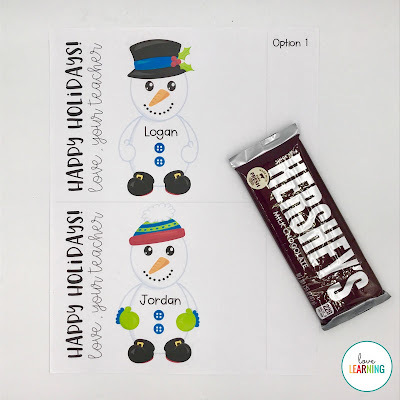 So I created these adorable snowman templates and personalized each one for my students. No, it really didn't take that much time, and it wasn't very expensive. I purchased Hershey's Candy Bars from Costco, so one box was enough for my entire class. Then I simply printed the templates and wrapped them around each candy bar. 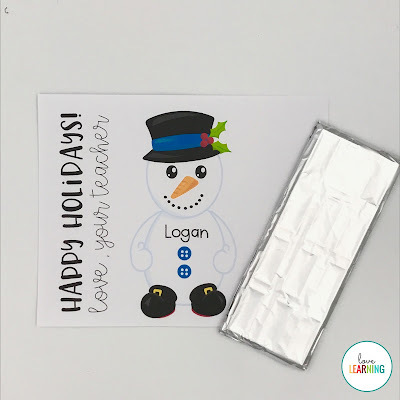 I rewrapped each bar in aluminum foil, but you can skip this step and they will still look great! My fifth graders were SO EXCITED when they walked into class and saw these beauties on each of their desks. They were even more excited when they realized that each was personalized. None of the students opened their candy bars that day. None. They didn't want to mess up the wrapping. Cue...ugly teacher cry. 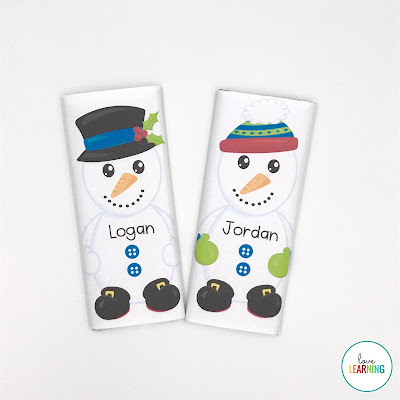 The snowman templates are available HERE. Just remember: you are amazing and you WILL make it to winter break.